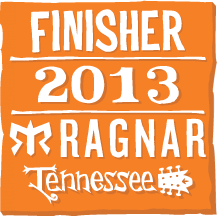 miles for beer...: how do you ragnar? ragnar has come and gone. and let me tell you i miss it. like i cried 3.5 times at work yesterday. serious withdrawals right there. but it was absolutely one of the most amazing things i have ever done. and i will get to that. but this post is dedicated to the clothing that i wore. oh and thank you TN for starting in the 60s and then dropping to the 20s. those were fun. not. two night runs in the freezing cold. woof. target tank top. oiselle shorts. procompression socks. add in some gloves in there and you have my leg one race wear. those are my favorite shorts ever. and i can't say enough about procrompression. they are amazing. this outfit was perfect for my first leg that was straight uphill. the weather was just warm enough to not warrant sleeves. but my fingers were cold so at the last minute i wore gloves. it was the perfect combo. head tennis skirt. nike combat long sleeve top. procompression socks. this leg was in the dark. so add a headlamp and a sweet reflective vest with tail light. but i hate running in tights. and my teammates made fun of me because as they said i was wearing a mini skirt and tall socks and it was a whopping 30 degrees out or so. this was my fastest leg by far and at first it was a bit brisk, but i wasn't really cold except waiting for the handoff. based on our predicted time i should have been running at about 8 am or so. well that got moved to about 445 in the morning. so again, reflective wear and a head lamp. the pink top was an add on since it was bloody freezing. like below freezing, freezing. oiselle shorts - first time i've worn these and i love them. target tank top. target pullover. halloween procompression socks. holy crap this leg was cold. but once i warmed up, my legs weren't all that cold. i can't say enough how much procompression socks are my favorite thing ever. i have so many pairs of them and i really think they are the best compression socks out there. stay tuned for the stories that come out of 6 girls being in a van together for 2 days. delirium ensued, a brownie taste test happened, lots of giggles, and so much peanut butter.